It’s only been a year since the last release from this Toronto-based trio, Post Plague, was released, ushering in a new phase of Odonis Odonis’ music. 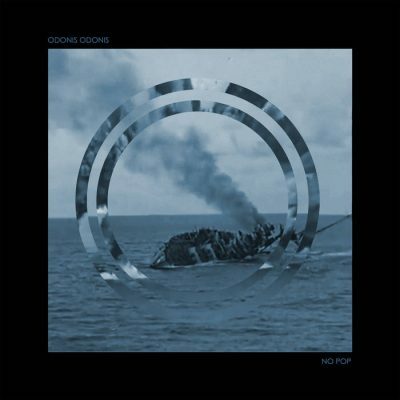 Gone is the fuzzy, industrial surf rock of their first few releases—with No Pop. The synth-heavy, rhythmic dystopia introduced on Post Plague has evolved into something much more polished, if “polished” is a good word for something you’ll want to get fucked and dance to. They haven’t diverted from their new direction at all. Instead, they’ve turned it into a tighter, more captivating sensation. Odonis Odonis have moved away from their usual specific topics of future scientific catastrophes to something less message-driven. On the opener, “Check My Profile,” the lyrics are yelled/drawled out in a way that makes it feel like the song wants to tease anyone listening into throwing the first punch. It’s malevolent and sticks to common topics of theirs about how technology can be used to hurt people, regardless of intentions. But there’s something new. The genre of music that they’re exploring has changed the dynamic of how it feels to listen to their music. Across their discography, each album focuses on a specific emotional chord. They play with a range that continues to amaze. Earlier releases seemed as if the band was taking modern post-punk motifs and attaching them to the older beach rock days. It was fantastic and someone needed to do it, but instead of pigeonholing themselves into that position of nostalgia, they’re taking their ability to flesh out a sensation of rhythmic dread and planting it firmly into the forefront of underground music. No Pop has an organic feeling that carried over from the band’s previous sound, but it almost makes you forget that the music is entirely digital now. The finesse and the range are spot on, and they’re getting caught back up to the level of mastery over this new genre of heavy electronic dance as they had with their earlier, mostly analog sound in just one year, speaks volumes. I wasn’t sure about their last album, Post Plague. To be honest, it faltered at times and seemed like such a leap that it was definitely not guaranteed that they would be able to make it work, despite some really solid tracks. But they stuck with their idea of embracing modernity, and in a short time, they managed to break the metaphorical stallion and take control of their new arena. It’s hard to imagine what the music scene looks like in Toronto, but there are exciting things coming out of it.